Effective July 1, 2018, new California law requires a business that makes an automatic renewal offer to include in the offer a clear and conspicuous explanation of the price changes at the end of trial periods. The law also prohibits a business from charging a consumer’s credit or debit card, or the consumer’s account with a 3rd party, for an automatic renewal or continuous service that is made at a promotional or discounted price for a limited period of time without first obtaining the consumer’s consent to the agreement. The law also specifies that if the automatic service offer or continuous service offer includes a free gift or trial, the business is required to disclose how to cancel, and allow the consumer to cancel, the automatic renewal or continuous service before the consumer pays for the goods or services. The law also requires a consumer who accepts an automatic renewal offer or continuous service offer online to be allowed to terminate the automatic renewal or continuous service exclusively online (with other specifications). Subscription boxes are taking over the online marketplace. 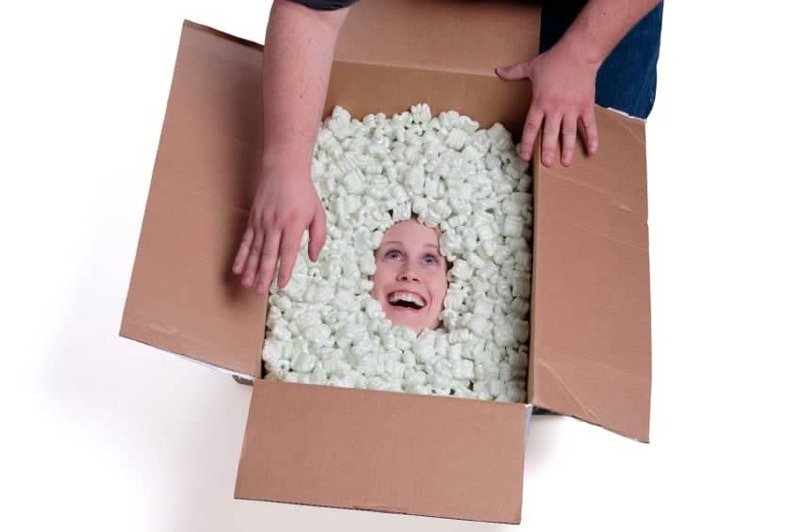 There are now subscription box companies for almost anything imaginable. Among of the most popular subscription box enterprises is Birchbox and Blue Apron. With all the hype, is it worth it to start your own subscription box business? What are the potential legal issues and policies that you need to consider as a business owner? If you are not aware of this craze, subscription boxes is a fast growing business model where companies send monthly supplies of beauty items, healthy foods, jewelry, and tech items right to your door each month. The possibilities are endless. Who doesn’t love to get a surprise package in the mail? It essentially taps into the same experience as getting hand-made care packages from Mom when you are far away from home at college. It is fun! The businesses conduct an online survey of customer’s tastes and preferences to determine what items will be included in the monthly shipment. Surveys range from simple to complex in order to cater to target customer’s needs. These monthly subscription prices range from $10 to hundreds of dollars depending on the merchandise. It is definitely a very profitable business model. Should you get on board? What about those of you with existing subscription box businesses? All this excitement, however, can come to an end should your customers decide that they are not happy with their subscription box supplies. Before starting a subscription box business, make sure to carefully craft cancellation policies. Check to make sure you know exactly what you are selling, and clearly disclose the policies to customers in order to protect the reputation of your company. For example, avoid advertisements which claim that you can cancel at any time. If there are exceptions to this claim in your policy, please avoid potentially misleading statements. The company Birchbox advertises that the subscription can be cancelled at anytime. However, upon further reading of the cancellation policy, this in only true of you have a month-to-month subscription. Those who have subscribed to a yearly subscription may only cancel during the first month of the year long subscription. While the language of the policy may not be technically misleading, customers tend to view such policies as unfair. It is better to disclose upfront the fact that yearly subscribers can only unsubscribe during the first month, rather than anger customers who honestly believe they can cancel at anytime. Full disclosure of cancellation policies in a clear, concise manner is the best way to avoid litigation. Remember to address the company’s yearly and monthly subscriptions renewal procedures. If any subscription is automatically renewed at the end of the subscription period, be sure to explicitly disclose this to customers. Customers will not appreciate their subscriptions renewed automatically without their knowledge. Do everything possible to clearly state any policies dealing with automatic renewals. Consider California’s Auto-Renewal Law (“ARL”), Business & Professions Code sections 17600-17606. Enacted in 2010, ARL aims to end the ongoing charging of consumers, without their explicit consent, for continuing product delivers (such as subscription boxes or magazine deliveries). ARL makes it unlawful to: 1) fail to present automatic renewal terms in a “clear and conspicuous manner” before the subscription is fulfilled, and in close proximity to the request for consumer consent; 2) charge the consumer’s credit card, debit card, or third party account without first obtaining the consumer’s affirmative consent to any auto-renewal provisions; or 3) fail to provide consumers with a retainable acknowledgement containing the automatic renewal terms and cancellation information. ARL also provides that businesses must also provide a toll free number “or another cost-effective, timely, and easy-to-use mechanism for cancellation” and conspicuous notice of material changes in the renewal policy. Non-compliance with ARL results in an unconditional gift made to the customer of whatever supplies the company has sent AND subject the business to civil liability. See recently filed ARL cases Bleak v. Spotify USA, Inc., (N. D. Cal. Case No. CV-13-5653) and Goldman v. Dropbox, Inc. (S.F. Superior Court Case No. CGC-14-537731) for possible scenarios. Other issues may arise in “Referral Program” redemption points. Many subscription box companies allow customer to earn “referral points” which are earned by getting friends to subscribe. These referral points can then be spent to purchase products on the website. One common customer complaint is that they are not able to redeem their referral points when the time comes to make a purchase. Companies are usually prompt when addressing these complaints, but usually the difficulty in redemption is attributed to “technical difficulties”. It has been speculated that companies are making it harder to redeem referral points. You do not want to be subject to this type of speculation. Whatever, the case may be, if you start a subscription box business, you’re your attorney review your policies to ensure that there is nothing that could be construed as unfair dealing. Any customer complaints will most likely be reported to the Better Business Bureau, which could adversely affect your business. Also, to avoid litigation keep in mind the basic elements of fraud: 1) a false statement, 2) knowledge of the defendant that the statement is untrue, 3) intent on the part of the defendant to deceive the alleged victim, 4) justifiable reliance by the alleged victim on the statement, and 5) injury to the victim as a result. Subscription boxes offer a convenient and fun service, and a great potential business. Just be sure that your policies are clear and in compliance with ARL before jumping on board.